A late August weekend that feels more like early October drew me to the mountains today. 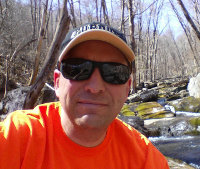 I did the Jones Run - Doyles River hike, which leads past two waterfalls. 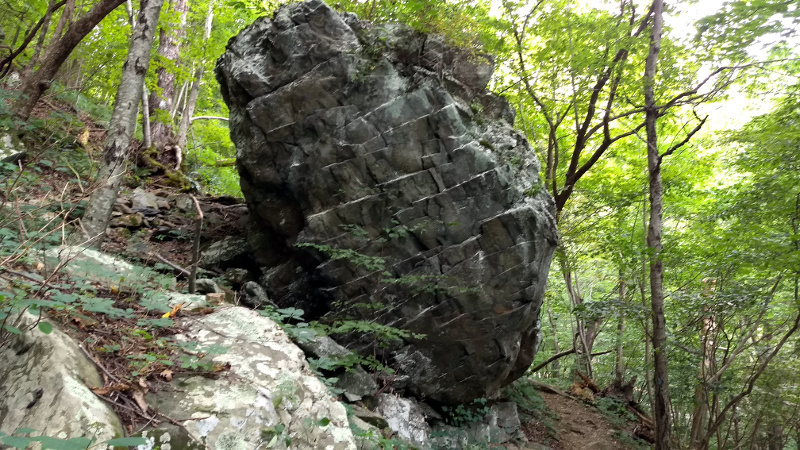 The hike starts at the Browns Gap parking area in Shenandoah National Park. 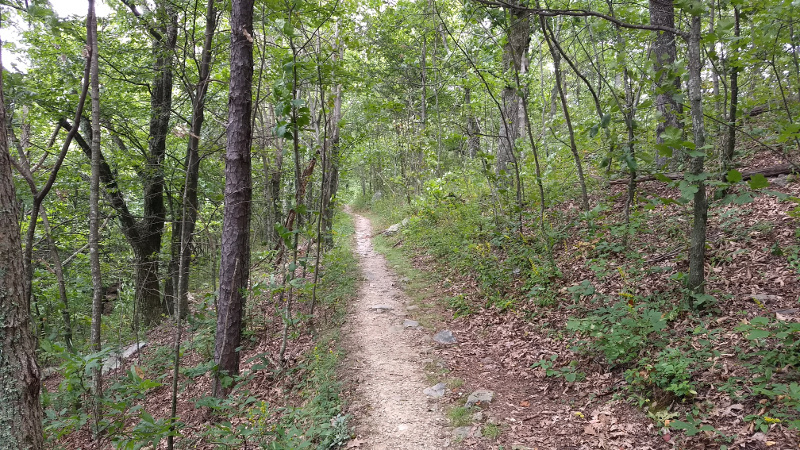 I started south on the Appalachian Trail, and the first 1.5 miles are fairly level as the AT traces the ridge line. When I took a left on the Jones Run trail at the 1.5 mile mark I started heading downhill, and didn't quit going down for about 1400 feet of elevation change. Of course, that means I'll have to come back up at some point. The trail gets very rocky too. 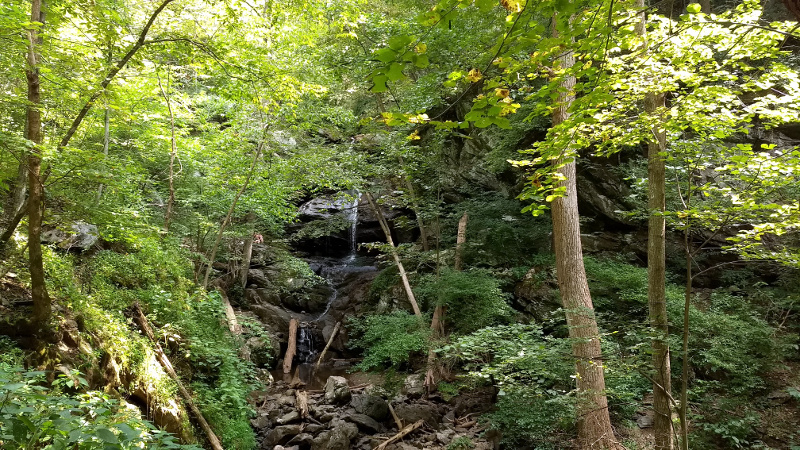 The highlight of this section of the trail is Jones Run and the Jones Run waterfall. The river and the waterfall were quite anemic today. 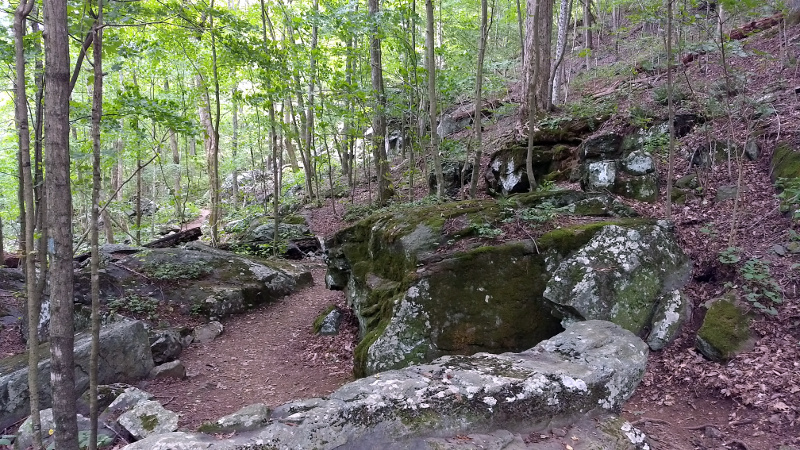 At about the 3.3 mile point of the hike the Jones Run trail ends at an intersection with the Doyles River trail. The Doyles River waterfalls were not exactly exciting either. It's been a wet summer at my house, maybe not so much in the mountains. However, I did find a nice rock for a lunch break. After about 1.2 miles straight uphill the Doyles River trail cross a fire road which provides a 1.4 mile uphill walk back to the parking lot. Or, you can take the trail less traveled. 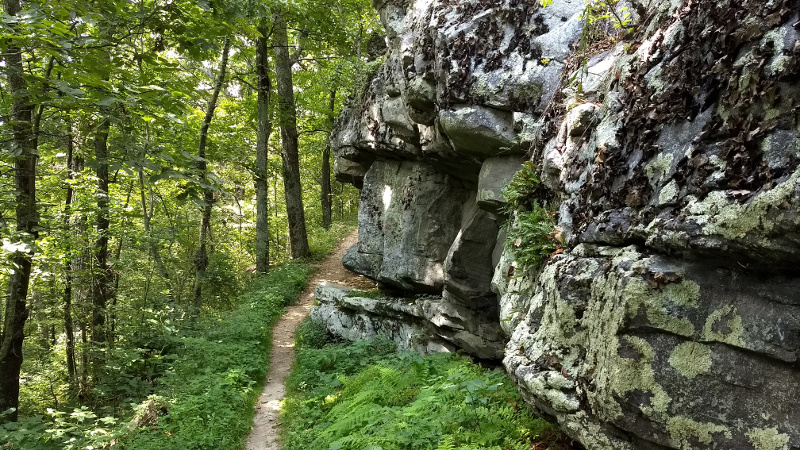 I continued on Doyles River Trail for another .9 miles to an intersection with the AT, and the highest elevation of the hike at about 2900 feet. 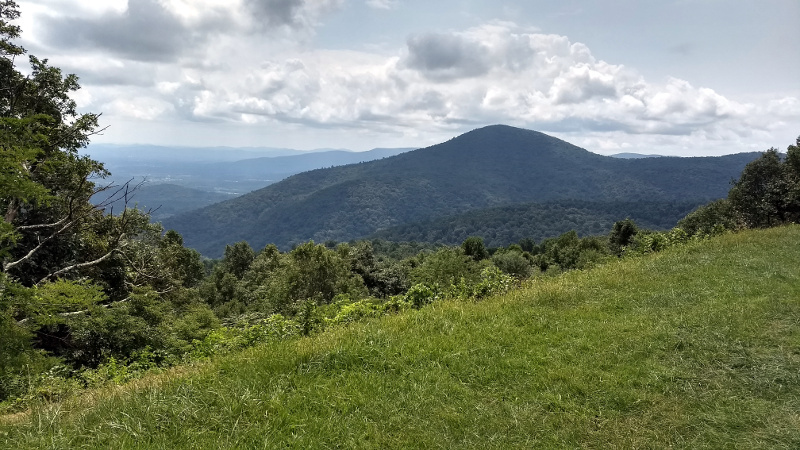 The AT then provides a fairly flat 2.2 miles back to the parking lot, for a 8.5 mile hike. 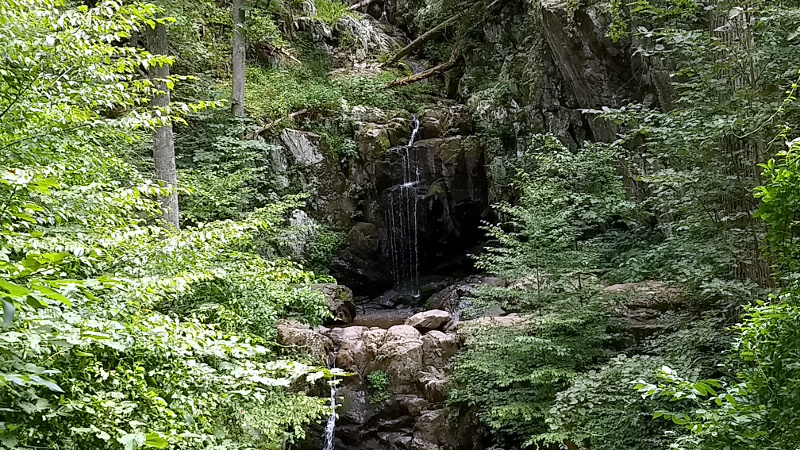 It's a nice hike, although it would be more fun when the waterfalls are flowing much better. There were swinning holes at each watefall, although today most looked to be only a foot deep, at best.